Grandma said so. Research isn’t so sure. Here’s what to know. Breakfast is a cultural moment as well as a time of body-refueling, and its significance can be tied to family or cultural traditions that are meaningful in and of themselves — something to note when deciding whether or not a daily morning meal is important to you. Take a look at some of the science behind the meal, consider your traditions and your lifestyle and give space to your preferences. But ultimately, the choice of what to do about a morning meal is up to you. And whatever your answer, know that you’re not choosing wrong. Research has indicated that a healthy breakfast like oatmeal or eggs (rather than a bowl of sugary cereal) provides a sustained source of energy for your body over a long period of time, and as a result it can enhance your cognitive performance. So if you love to eat breakfast, go ahead and fill up your bowl: It’ll help you stay sharp until lunchtime. Even a healthy breakfast like eggs can, however, increase your risk for atherosclerosis, or a buildup of plaque in the arteries. And high-sugar breakfasts can lead you to crash and burn before lunchtime, eliminating the benefit of sustained cognitive energy. So what you eat for breakfast matters. It’s worth considering your particular health concerns with your doctor and choosing what’s healthy for you on the basis of those conversations. If you are monitoring your cholesterol, your doctor is likely to recommend you skip high-fat foods like meats or butter (if you have diabetes, you may even want to avoid eggs), in line with Mayo Clinic guidelines. Meanwhile, if you work out every morning, your doctor will likely encourage you to eat some carbohydrates before you hit the gym — new research suggests that fasting before working out is counterproductive to exercise goals like increasing metabolism and losing weight. If you don’t want to eat breakfast at all, don’t worry — Mark Mattson, Ph.D., professor of neuroscience at the Johns Hopkins School of Medicine and chief of the Laboratory of Neurosciences at the National Institute on Aging, is one among several prominent advocates of intermittent fasting as a means of increasing memory, improving mood, and even decreasing likelihood of neurodegenerative diseases like Alzheimer’s. And one way to do intermittent fasting is to elongate the nighttime fasting period by eliminating breakfast — so if you are not a breakfast person, there’s some real science in your corner, too. Whatever you choose to do about morning food intake, however, you may want to make sure you sneak in a cup of coffee, and not for the reason you think…. A study at the Harvard School of Public Health found that drinking a few cups of caffeinated coffee a day worked as a mild antidepressant — and remarkably, it halved the suicide rate in three large-scale cohorts studied (one of 43,599 men, one of 73,820 women, and one of 91,005 women). So if you’re looking for a little daily mood boost, you might want to keep that cup ‘a joe in your morning routine. You will, according to the research, be happier for it. 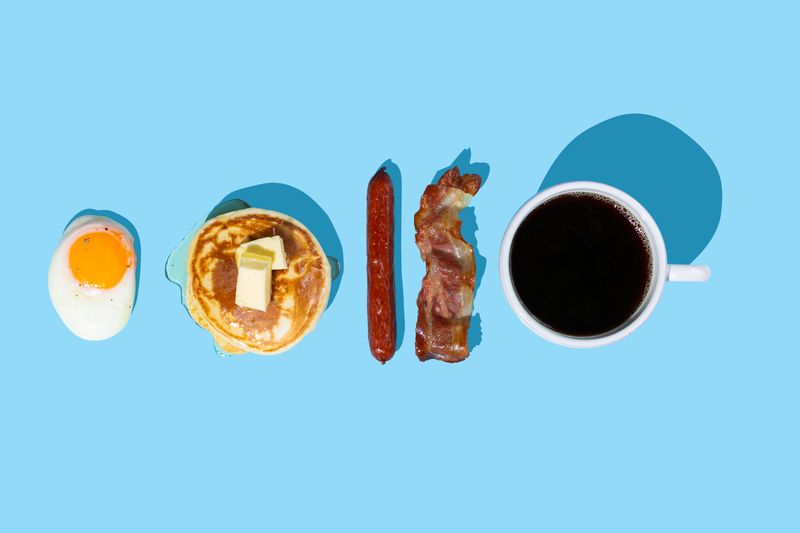 Is Your Breakfast Ruining Your Workday?